The financial landscape is changing at a blistering speed. With volatile global markets, changing regulations and new financial products, there is a major need for professionals in the Financial Services Sector to acquire new insights into the complexities of banking in the 21st century. 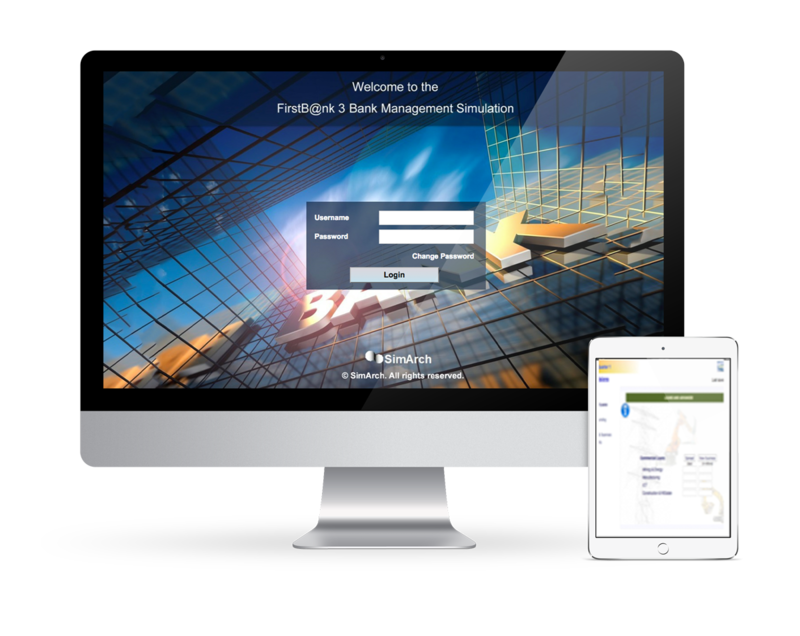 The Bank Management Simulation Program, FirstB@nk 3, provides professionals with a broad perspective on the business of banking. By taking on the role of the management team of a bank for the duration of four financial quarters, you will be exposed to the major products and activities of a commercial bank. You will also experience the impact of the economy, regulations and competition on the various quarterly decisions to be made as well as well as the keys risks facing banks today. The successful completion of the FirstB@nk 3, Bank Management simulation program provides professionals with a certificate in “Banking in the 21St Century” which amounts to 6 CPE credits. The FirstB@nk 3, Bank Management Simulation Program is designed specifically to facilitate the development of the business acumen of personnel within the Financial Services Sector. The simulation program provides a powerful and engaging learning experience set in the context of the current banking environment. Banking personnel develop new skills and the business acumen required to manage a commercial bank successfully in today’s competitive and volatile marketplace. After having successfully completed four financial quarters a certificate of completion will be made available via the simulation as well as sent to you by email. The successful completion of the FirstB@nk 3, Bank Management simulation is equal to 6 CPE credits.